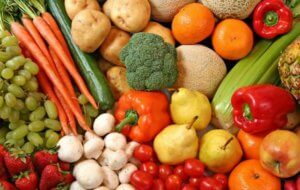 PART 6: Pesticide residues: Something to worry about? 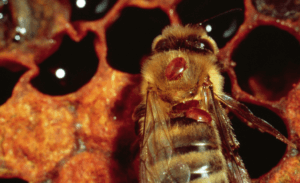 This is part five of our six-part series on the current state of pesticides. Most consumers believe organic farming avoids pesticides and prioritizes the health of the environment more than conventional farming. However, this is not necessarily the case. Pesticides used in organic farming are sometimes less effective than state-of-the-art, targeted synthetics. 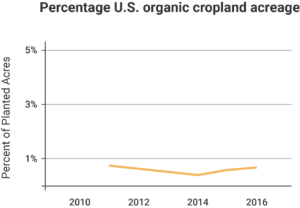 This can mean organic farmers sometimes have to use more pesticides and at a higher cost. Anti-GMO activists in one county in California complained so much about glyphosate (Part 2 in this series addresses glyphosate; read the GLP’s GMO FAQ backgrounder on glyphosate for an extensive analysis of its potential health dangers) that the county switched to organic alternatives , but the alternatives required gardeners to use body suits and respirators during application because the organic substitutes caused eye irritation and respiratory problems. The alternatives were also less effective as glyphosate. And they were as much as sixteen times as expensive. The inherent restrictions required in organic farming result in organic farmers sometimes having to use more toxic pesticides and less environmentally-friendly technology and farming practices. Tillage is one example of organic farming being less sustainable than conventional farming. Tillage is a technique farmers use to prepare soil for a crop. It involves digging, stirring and overturning the soil. Tillage helps make it easier to plant crops and destroy weeds. However, tillage breaks down soil structure, significantly increases erosion, causes the soil to lose nutrients, reduces biodiversity of insects and animals in the soil and releases greenhouse gas into the atmosphere. It is definitely not the most sustainable farming practice. 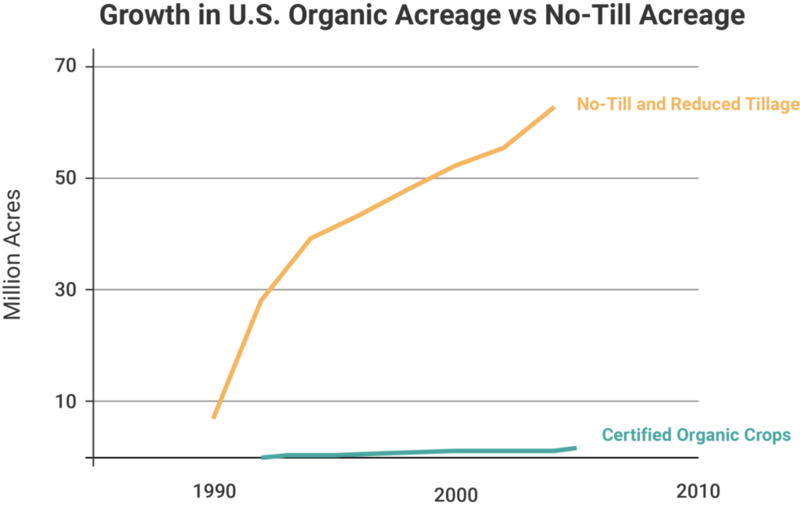 Conventional agriculture has more options to avoid tillage, and some GMO crops aid with no-till weed control, while organic agriculture still has to rely at least in part on tillage, even at the expense of sustainability. Conventional agriculture can use herbicide-tolerant crops. These are crops that have been genetically engineered to tolerate specific herbicides, like glyphosate. 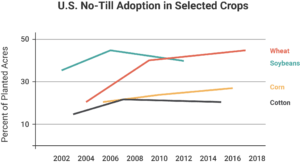 The graph below shows that when using herbicide-tolerant crops, farmers do not need to rely on tillage as much as conventional farmers (data from the USDA Economic Research Service using data from the 2006 ARMS Phase II soybean survey). However, genetically engineered crops are by definition not available to organic farmers. Therefore, it has been more difficult for organic farmers to adopt no-till farming practices. mptions about the role of pesticides in organic and conventional farming. Marc Brazeau contributed to this report.